Opinion: Which Planet Should Star Wars VR Go To Next? Vader is set to be the center piece of a new Star Wars game which has got everybody on tenterhooks following yesterday's announcement of a new virtual reality series. 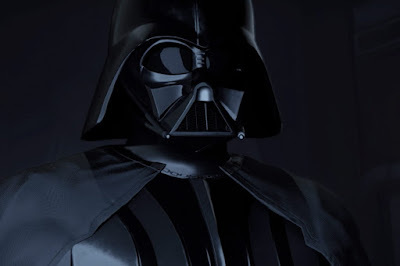 Lucasfilm and ILMxLAB yesterday announced that Vader Immortal: A Star Wars VR Series will launch on the Oculus Quest in 2019. The three-episode series will be set at Vader's mysterious castle on Mustafar, which audiences got to see for the first time in Rogue One: A Star Wars Story (2016). This is exciting news and you can see why there is a lot of hype about the upcoming series amongst producers as well as fandom in general. It is not the first major Star Wars VR project that ILMxLAB and Goyer have produced together as the announcement comes nearly a year after the opening of Star Wars: Secrets of the Empire at Disney Springs in Orlando, Florida. This game took fans on an undercover mission as a Rebel spy and featured appearances by Rogue One stars Diego Luna as Cassian Andor and Alan Tudyk as K-2SO. Both Star Wars VR announcements have centred on imperial worlds and are set between the period of Revenge of the Sith and A New Hope. Although we have only just heard about this new three-episode Vader series it got my mind thinking as to what other places would be fun to explore using this innovative technology. I have decided to choose three planets in three different time periods - the Prequels, Original Trilogy and Sequels -I think would both be intriguing and exciting to play in. 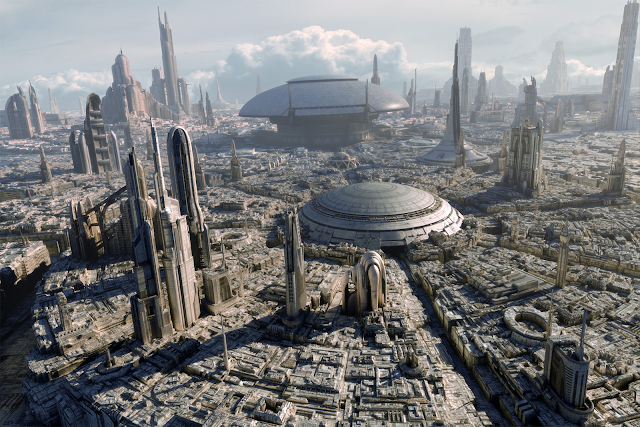 One of the galaxy's most influential and important planets throughout the Prequel Trilogy and beyond was Coruscant, the capital of the Republic. It is cosmopolitan in nature with thousands of different species based on the Republic world and is diverse in its class system. This means players could not only explore the higher echelons of society in the Senate and live in the city blocks that dominate the skies but they could also explore the seedy underworld that lurks beneath the dwarfing buildings. The underworld, I think, would be of most interest to players because there is so much scope to explore looking at the life of criminals in the city. People could either play as a criminal on the run or as a law enforcer who is trying to catch criminals. The Vader Immortal series is canon and there is no reason to suggest that something of this nature couldn't exist in canon either. It would also be in the time of the Republic which means that the option of playing a Jedi could be on the cards too. Players could be sent as Jedi to snuff out the gangsters and criminal lowlifes that lie in the underworld or perhaps players could train in the Jedi Temple as well. I seem to be rattling off so many ideas here but it's just an example of the sheer scope of possibilities that could be had on Palpatine's future Imperial center. 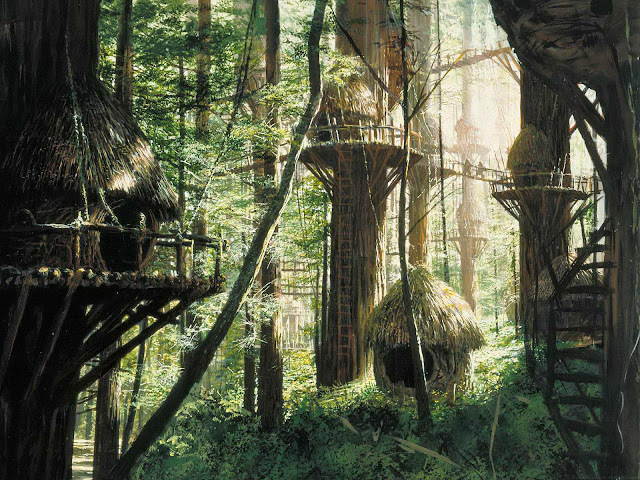 The forest moon of Endor is a secluded planet in a remote corner of the galaxy but it was still involved in one of the most pivotal moments in the history of Star Wars canon as it ended up being the final resting place of Darth Vader and it served as the beginning of the end of Palpatine's Empire. The vibrant green and wooded setting along with the treetop villages, which were inhabited by the native Ewoks, would make it a fascinating world to explore as a player. I feel it would truly be a sight to behold and it would be fun to walk through the plants and tree villages knowing the history of the planet. Wouldn't it be exciting if players were given the opportunity to take part in the Return of the Jedi's Battle of Endor and imagine the chaos that ensued the planet at the time as Imperials fight Rebels and Ewoks alike. Of course in canon we know what happens on this planet but in terms of the VR experience it would be an exciting avenue to explore as a player. First seen in The Last Jedi the coastal city was a destination for wealthy individuals and filled with casinos and racetracks. While it may have attracted the interest of Resistance members Finn and Rose during the war between the Resistance and the First Order the planet remains relatively untouched in canon - save for the novels released prior to The Last Jedi which were based on characters from the casino city. Similar to Coruscant, a diverse range of personnel live on the planet which would make it a rich world to explore. The colour scheme is very bright and I imagine it would be equitable to exploring Rome in Assassins Creed or Naboo in The Phantom Menace given the city layout. Producers could do as they wished with the story and players would be able to play a wide number of characters. While it would be set in the time of the war between the Resistance and the First Order there's no reason to say Canto Bight couldn't have its own unique and original story unfold on the planet - whether with bounty hunters or crime lords and gangsters. Well those are my three suggestions, but I want to know what your thoughts are regarding the places players could explore next in the VR universe. Let us know your thoughts in the comments below.